FANBOY PLANET.com . 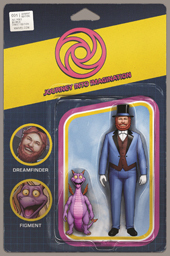 : Figment 2 :. Journey Back To Imagination With Figment 2! 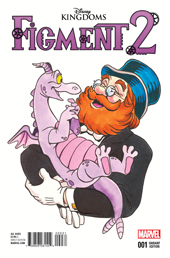 Being a West Coast kid, I really never got exposed to Figment. But for those whose Disney Park experience was in Florida, the little purple dragon practically symbolizes their childhoods. 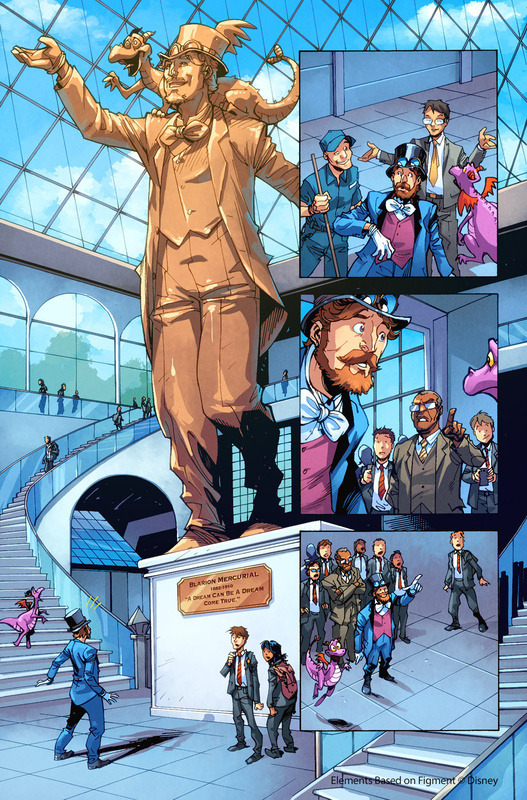 So it's unsurprising that out of the Disney Kingdoms books done by Marvel so far, Figment should be the one immediately worth a sequel. 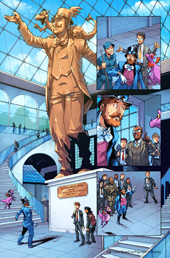 It's also due to writer Jim Zub's take on the character, for the writer filled the first mini-series with exactly what it should have: wild imagination. So since the first Figment was one of my son's favorite comics of 2014, I guess we've got a lock on his top five for 2015 right here. This September, the sold out, multiple printing, smash-hit returns for an all-new tale! 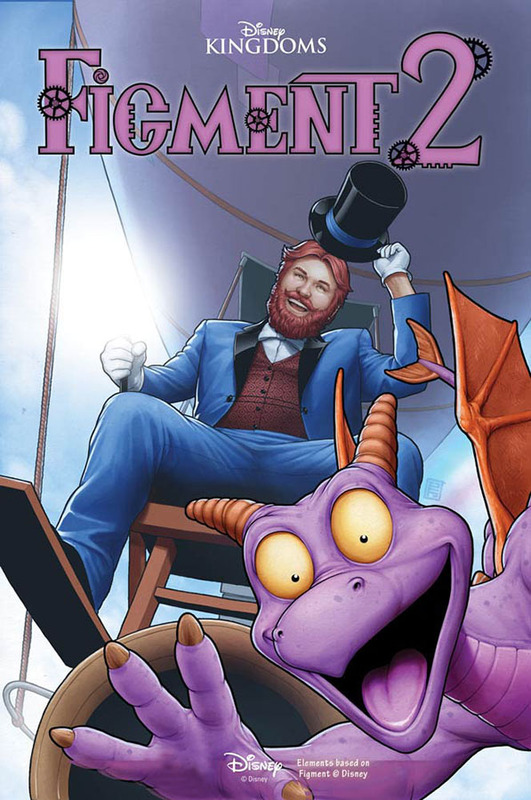 Journey back into the exciting depths of your own imagination with FIGMENT 2 #1 – the newest series under the Disney Kingdoms line! 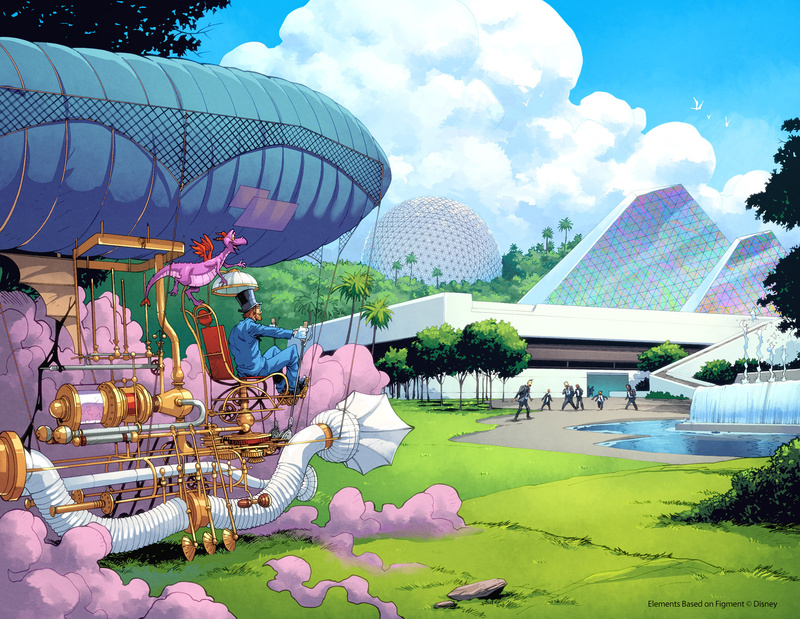 Continuing the unique collaboration between Marvel and Walt Disney Imagineering, Disney Kingdoms titles bring you new adventures inspired by beloved lands, attractions, characters and worlds of Walt Disney Parks and Resorts! 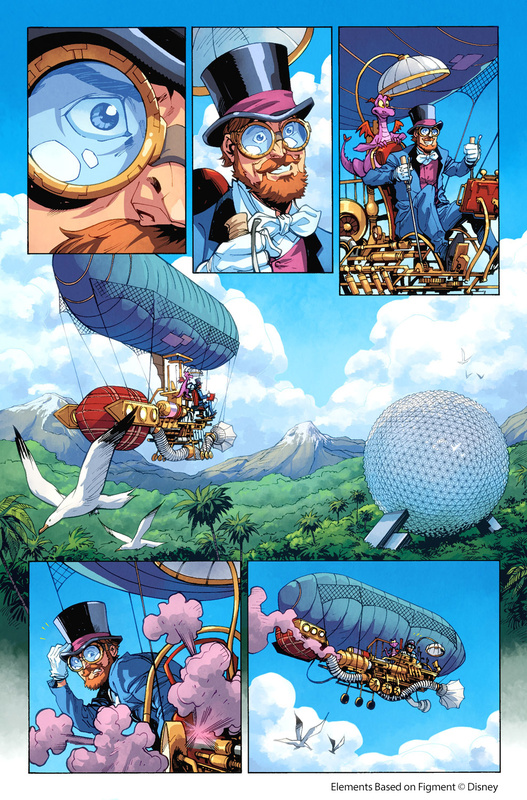 Critically acclaimed writer Jim Zub returns alongside artist Ramon Bachs for the next chapter in the lives of the enigmatic inventor Dreamfinder and the legendary Figment! Thrust forward into the present day, these two time-travelling explorers must brave a modern world as new and unexpected dangers lie before them. Gone over 100 years, our imaginative duo are known the world over, and must struggle to live up to their own legend. But with their greatest challenges still ahead, can they embody their own legacy, or will it ultimately be their undoing? A mainstay of Epcot® Theme Park at Walt Disney World® Resort, Figment has captivated visitors of the Journey Into Imagination attraction for years. Marvel and Disney are excited to bring fans a sequel to his blockbuster hit series! Old friends will reunite, new challenges will be met, and one little spark of imagination will take you to places you never thought you’d go! Don’t miss the highly anticipated return of Figment and Dreamfinder this September, when FIGMENT 2 #1 comes to comic shops and digital devices this Fall! 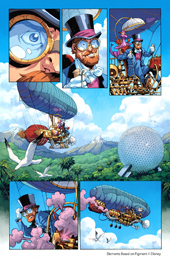 Get caught up on the original series with the Figment hardcover, on sale now in comic shops and wherever books are sold!